Enter the Smart Campus with Ruckus Networks to attract and drive higher student retention and engagement with the R720/R730 access points and the ICX7150ZP access switch. Student success and retention remains an important part of all modern colleges and universities. To start to improve student experience on campus, it is important to provide the right tools for students to engage digitally in campus life. A Smart Campus starts with reliable wired and wireless connectivity capable of anywhere in campus to provide smart living, learning, and security. Smart Living– Drive down costs and create a “greener” campus. Begin streamline and automate many campus services such as any smart home technologies can connect thermostats, video cameras, and smart devices to control inside campus buildings. Universities can also use the smart technology to give students and staff a more personalized control of their environments for building control, automation, smart water, and power controls. Smart Learning– Elevate higher education with smart learning, integrate digital capabilities for flexible learning space and better collaboration. Students and professors can learn and teach in a way that’s most effective for them and with the ubiquitous mobility and connectivity they have access to the vast amount of information at their fingertips. Smart Security and Safety– Make campus safer and more secure with connected surveillance cameras, smart locks, and perimeter controls, asset tracking and smart emergency services. Current traditional security have these systems operated separately, a smart campus can combine and integrate into one unified system to make automated real-time decisions that keeps everyone on campus safer. 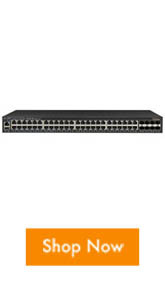 Wall mount AP/ switch for residence halls and IPTV for the best connection to every device. All Ruckus products provides secure access and use open APIs that allows easy integration with devices, applications, and management solutions from multiple systems. Contact Barcodes and Ruckus to find a solution that you need to build a new smart living, learning, and safe campus. Ruckus’s Cloud Managed Wi-Fi is more than just a cloud, it’s great Wi-Fi. Unlike most access points that broadcast an omni-directional signal, Ruckus maximizes signal coverage throughput and network capacity by continuously directing a signal at each client resulting in more users with more throughput per user anywhere. Further with Ruckus’s unique patented approach to channel management, Ruckus technology knows when a channel has become degraded and can switch channels after assessing the available capacity in each channel. This results in dramatic improvement and a usable network capacity, allowing devices to stay connected with more users per access point and fewer access points needed for deployment. 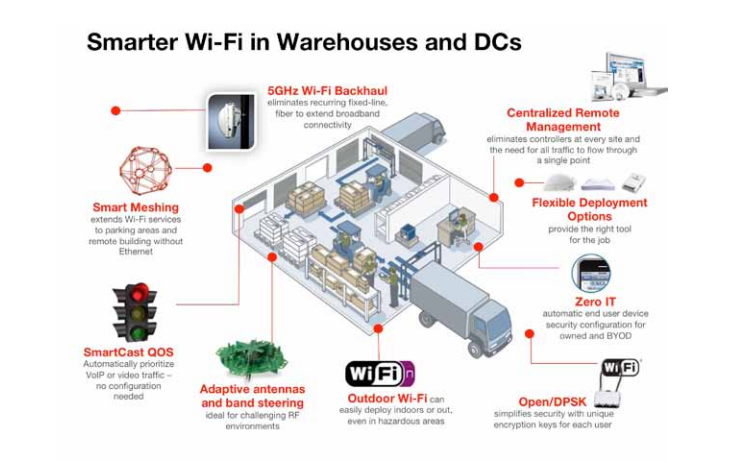 Cloud Wi-Fi takes the complexity out of deploying and managing a Wi-Fi network. No matter the size of your IT personnel, they’ll be able to establish, monitor and manage a high-performing multi-site WLAN of any size. The intent user interface of Cloud Wi-Fi presents network admins with only the information they need to manage the task at hand. This allows any member of the team, even with minimal experience, to manage the wireless LAN efficiently. Managed Simplicity: Simplify WLAN administrative tasks, from day-to-day management to setting up new venues and creating guest networks. Visibility and Control: Manage your Wi-Fi network from anywhere using the web interface or mobile app with the ability to view real-time and historical data on applications, clients, traffic and more. Better Performance at a Lower Cost of Ownership: Users get a superior Wi-Fi experience while saving money. 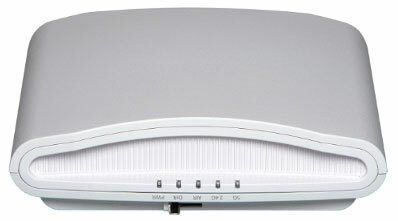 Ruckus’s access points, support more users per access point. A greater capacity and coverage means you save on your Wi-Fi infrastructure as you grow. 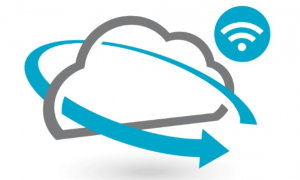 Want to try Ruckus Cloud Wi-Fi? See first hand how Cloud Wi-Fi simplifies WLAN management. Completely free, no obligation and no credit card required. To learn more and try Ruckus Cloud Wi-Fi for 60 days request one of our dedicated Account Managers Here and they will be able to sign you up for your free 60-day trial. Get your free 60-day trial of Ruckus Cloud Wi-Fi today! Ruckus announced the addition of two new access points (APs) to the ZoneFlex family—the ZoneFlex R610 indoor AP and the ZoneFlex T610 outdoor AP. 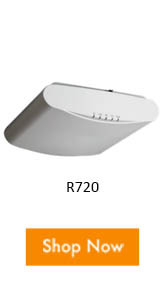 Both products are based on the IEEE 802.11ac Wave 2 standard featuring multi-user MIMO technology, which optimizes airtime efficiency to client devices and increases aggregate network throughput in dense indoor or outdoor deployments. “The Ruckus ZoneFlex R610 AP enables secure, rock-solid connections whether you are streaming audio or video, transacting payments, keeping in touch via social media, or just browsing the web,” said Denton Meier, CTO, Firefly Technologies, a Ruckus partner based in Washington. “We have been using the R610s in two high-use gym locations and the local Pybus Public Market.